I took a break from educating myself on z80 machine code, more on that later, to fix a few things that have bugged me about the site. They are minor and probably will go completely unnoticed by most, but I wanted to make a quick note for future reference. Hey thats what blogs are for, right? I spent some time updating the menu list. I decided to drop the forums since no one was using them and having a dead forum isnt much use. If you are looking for a ZX81 hangout, head over to SINCLAIR ZX WORLD. They cater to both the ZX80 and ZX8, and it has a number of semi-regular posters. I also dropped the home link, it was redundant to the title or bread crumb link. Thats it for now, but Im still debating dropping the links menu item. I dont really like the look and feel and I havent added anything new in forever. The downloads section is also in my cross hairs as Im thinking of just adding it as an option in the programs area. Other drops were the top ten and mobile links. The just were wasting space and not adding any value. Programs didnt get any love yet, but I did spend some time tweaking the articles section. Besides fixing some title displays where I had extra breaks in the code, I tweaked the way the category listings displayed. By default, a short description is built from the first 100 characters of the article. This works well as long as you dont use any HTML or UBBC codes. I do use them, however, to display the nice images in each article. Sadly, the brute force code would display the in-line HTML with no real text. To remedy this, I wrote up some markup removal code. I also lengthened the descriptions and truncated to the last sentence. This makes each topic a bit more legible and understandable. Hopefully this makes it a bit easier to read through the articles without having to search or clicking a tag. Okay, thats it for now. 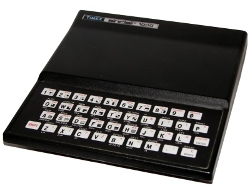 Im actually working on a new program for the ZX81. It started as a project last year, but I struggled getting far due to the limitations in basic. I have a prototype running using MCODER II, but I hit a wall, well memory limitation, so I'm starting over again. Thus, my comment about learning z80 machine code. Its been years since Ive used assembly language, the last time in college on a Digital VAX. Im going slow, but making progress. Im aiming to share a bit of that experience as I go along. Stay tuned!